Padded and quilted construction provides a soft cushion while protecting the back seat from dirt, dander and spills. The hammock shape also acts as a barrier to the front seat, and includes two storage pockets. Made from 100 percent heavy cotton twill fabric that is soft to the touch, yet wears like iron. Multiple attachment points, adjustable straps and sta-put devices keep the cover firmly in place in all vehicles. Not waterproof, but is treated with stain-block to resist spills and stains. 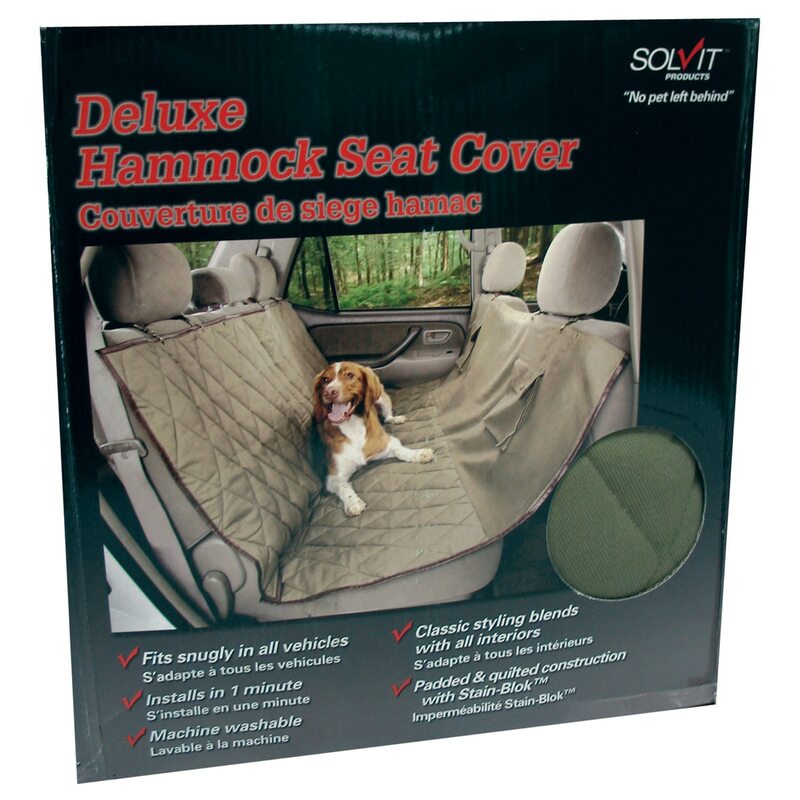 Provides a soft cushion while protecting the back seat from dirt, dander and spills. Also acts as a barrier to the front seat, and includes two storage pockets. Multiple attachment points, adjustable straps and sta-put devices keep the cover firmly in place in all vehicles.